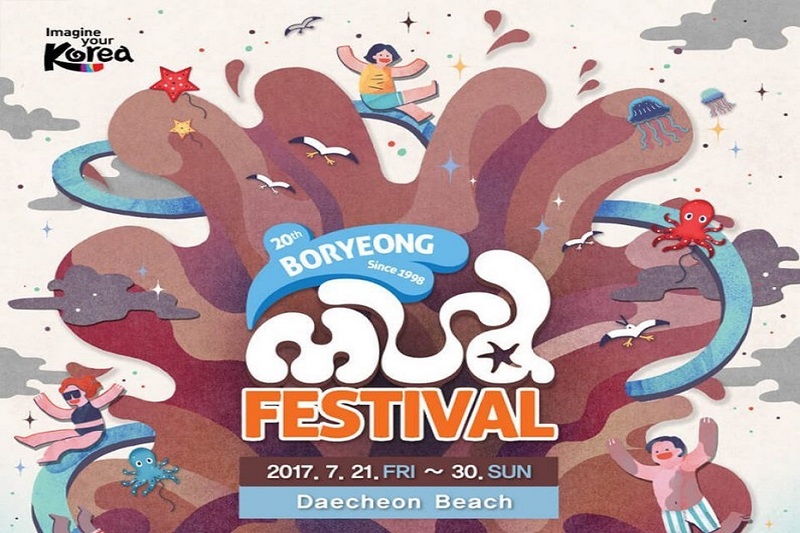 If Brazil has Rio Carnival and Oktoberfest in Germany, Korea has Boryeong Mud Festival! The global festival one can feel the joy of life away from ordinary daily lives. The hottest festival to express youth and passion! The wide-opened festival welcoming anyone to the excitement! You can enjoy the romantic scenery of the sea and exciting passion throughout. Just as miraculous competitions brings excitement to sports, the passionate excitement embedded in the festival breathes life into the treadmill like repetitive life. The idea for the festival began in 1998 as a promotion for the mineral-rich mud found near Boryeong, South Korea. When the manufacturers of Boryeong Mud products determined the beneficial effects of their local mud, they invited visitors to slather themselves in the stuff. The event took on a life of its own rather quickly, attracting thousands of visitors to this otherwise sleepy town annually for the beach, the warm weather, and, of course, the mud. Fueled by word of mouth, good times and exceptional photographs of mud people, the festival has become an international phenomenon. Families picnic under beach umbrellas, toddlers splash in the kid-friendly area, and the under-30 crowd are the front-and-center partiers inside an inflatable mud wonderland. Festival-goers have their pick of competitive activities like the Mr. Mud contest, mud wrestling, mud races and even a mud boot camp. Those looking for a more laid back experience can opt for mud facials, body painting, pottery demos, soap-making and lounging on Daecheon Beach. 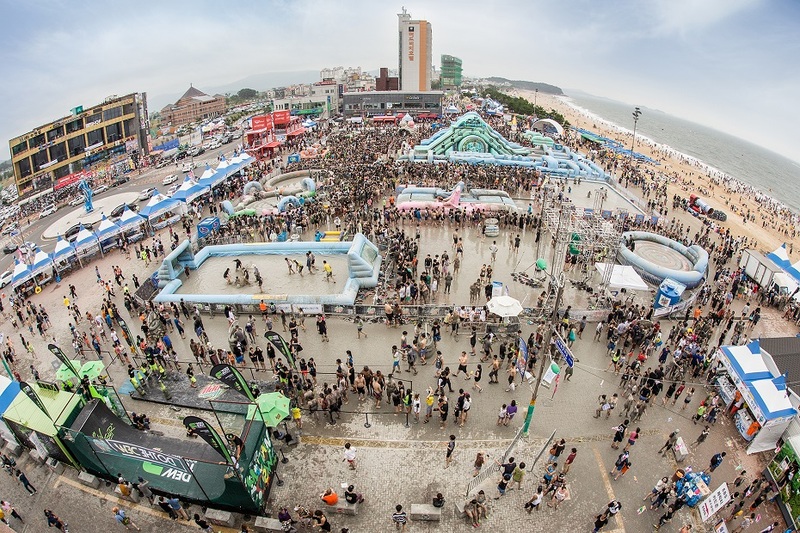 Although the main attraction is, of course, the mud, Boryeong features an impressive entertainment lineup as well. Pop and hip-hop performers from around the world affirm its status as an international event, providing an eclectic soundtrack to the wet and wild madness. Don’t miss the huge global rave on the evening of the closing ceremonies, or Friday’s Korean b-boy show. Keep your eye out for opening and closing night fireworks, as well as parades and other cultural performances during the week. In the end, the thing that sets Boryeong apart is the mud play. The spirit of conviviality across cultures and ages is a function of the anonymity everyone experiences while covered in mud. As Jae-Sang Lee, Director of Korea Tourism Organization, says, “The most distinctive point of the Festival is to create a united place where people from all over the world come together, meet and interact with strangers and are able to break down walls of age, nationality, race and have fun together and leave with memories and new friends.” All are one under the mud.